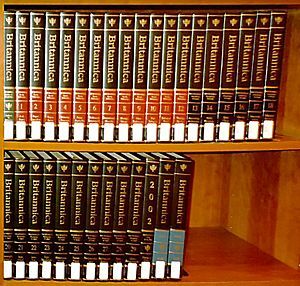 The Encyclopædia Britannica is a very big, famous encyclopaedia. It is now out of print in paper versions, but still in print digitally. 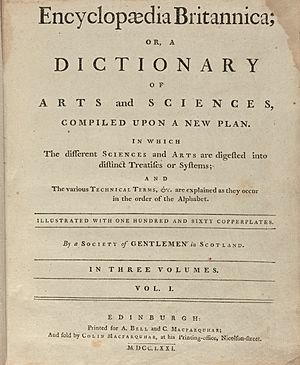 It is written in English, and is published by Encyclopaedia Britannica, Inc., a private company. 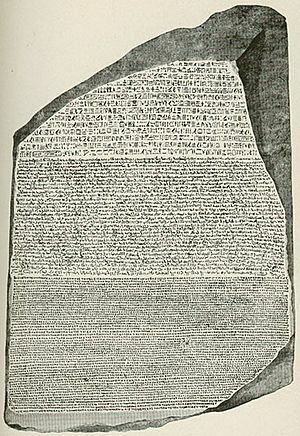 It was originally only printed on paper, but late in the 20th century it expanded to have digital, or computer versions as well. The encyclopedia is split into many books. The articles in the books are arranged in alphabetical order. There have been versions of it that are for children as well. 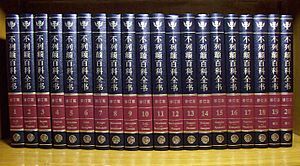 It is the largest printed encyclopedia, and the second largest encyclopedia. The largest is Wikipedia. Many people consider it to be the best encyclopedia, because it is accurate and has lots of detail. 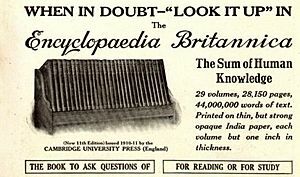 Encyclopædia Britannica Facts for Kids. Kiddle Encyclopedia.